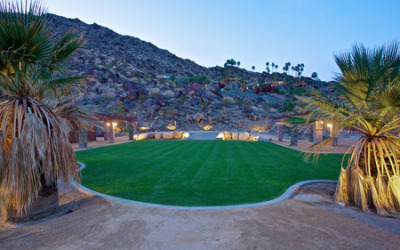 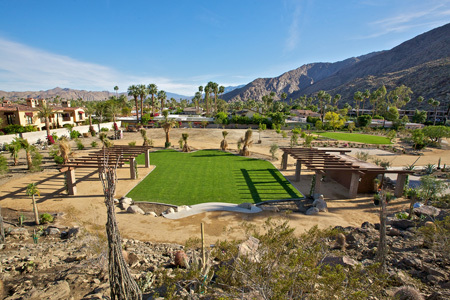 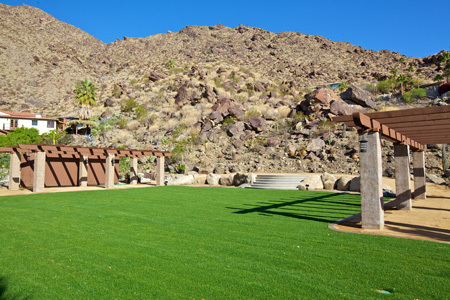 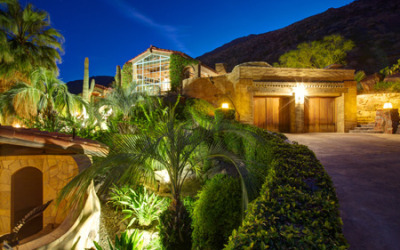 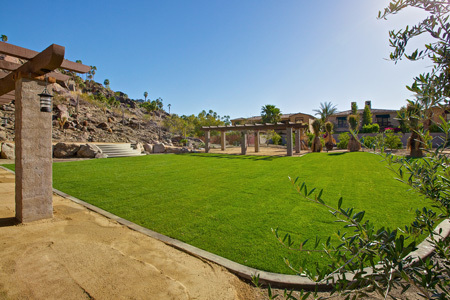 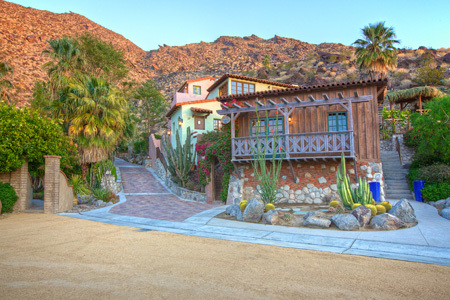 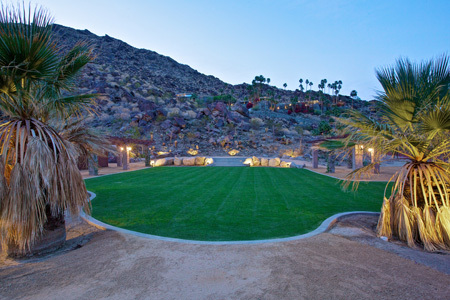 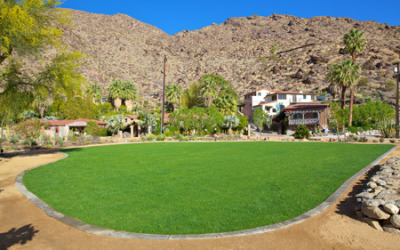 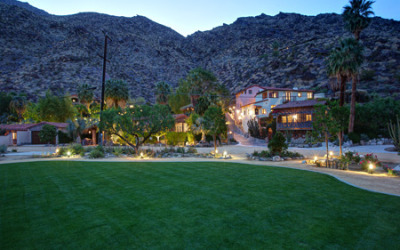 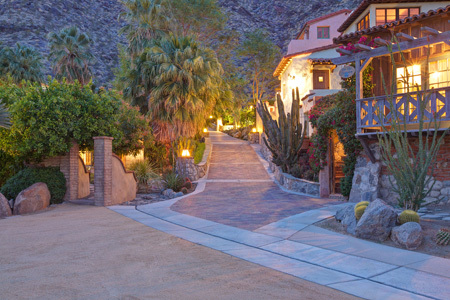 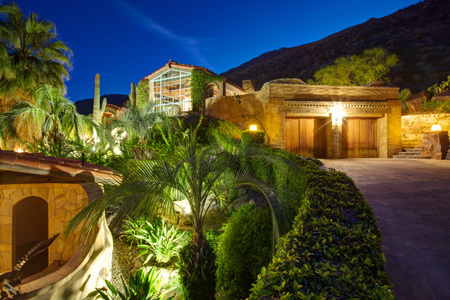 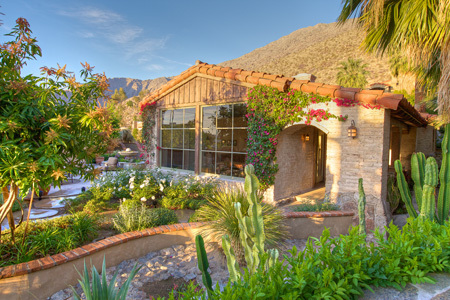 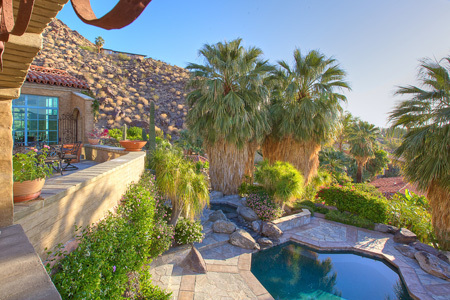 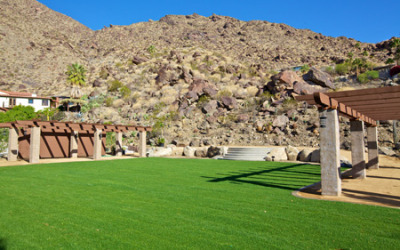 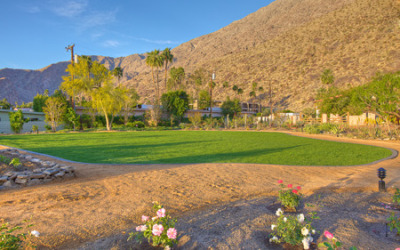 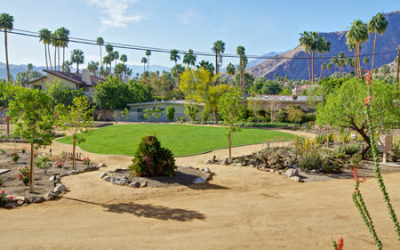 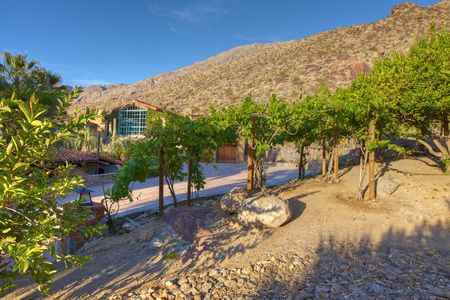 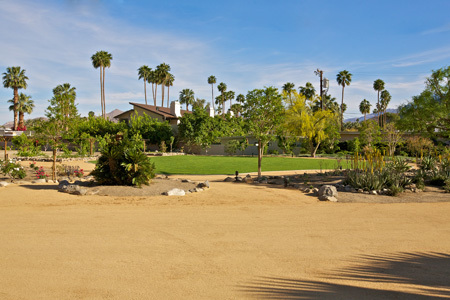 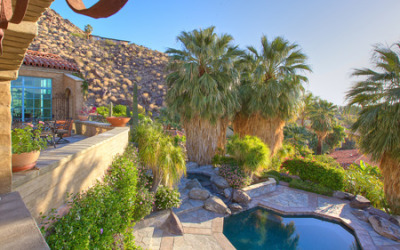 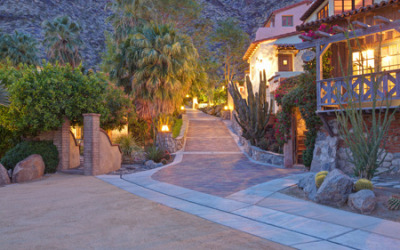 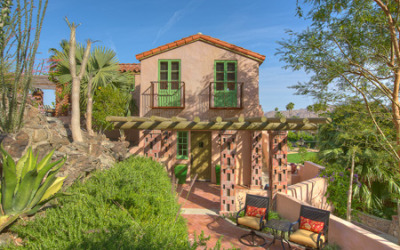 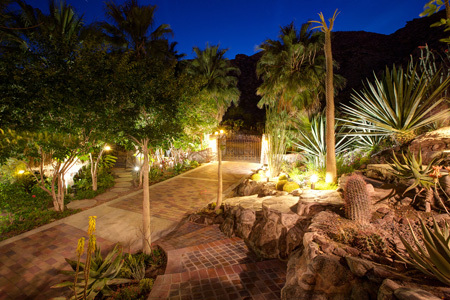 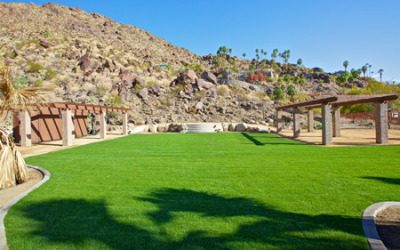 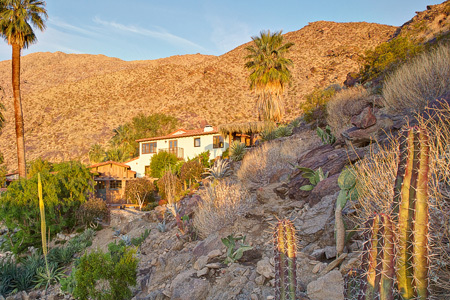 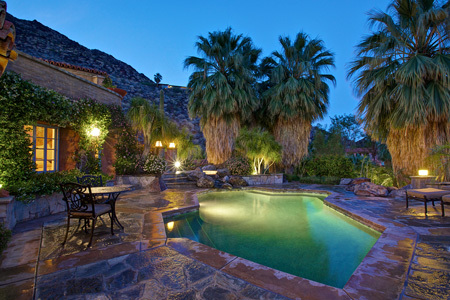 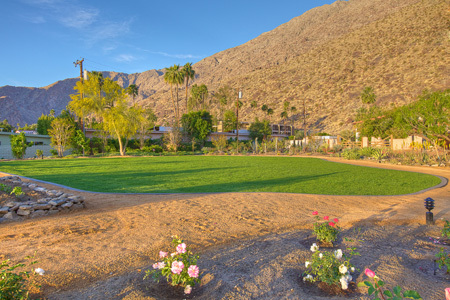 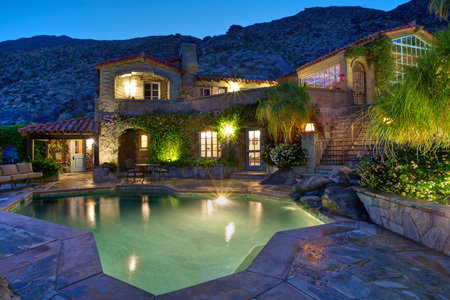 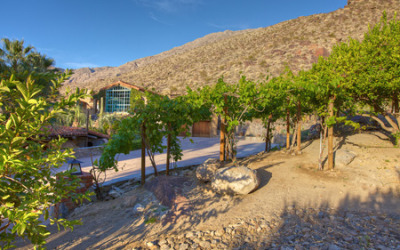 Set against the base of the San Jacinto Mountains, Colony 29 is a seven-acre gated compound comprised of six separate homes, which can accommodate up to 26 overnight guests. 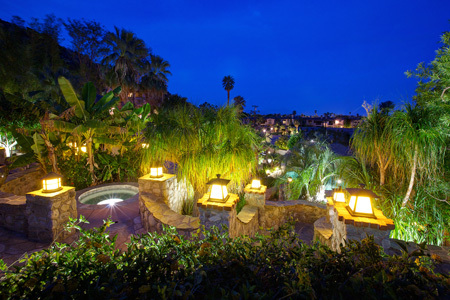 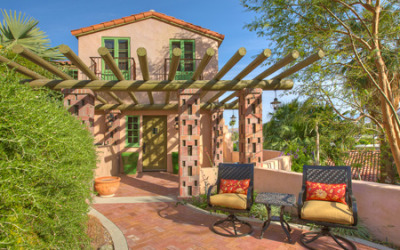 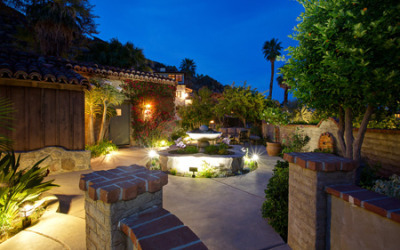 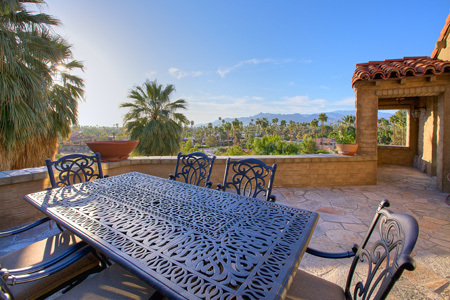 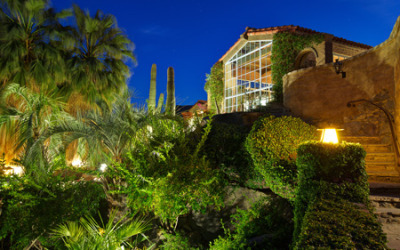 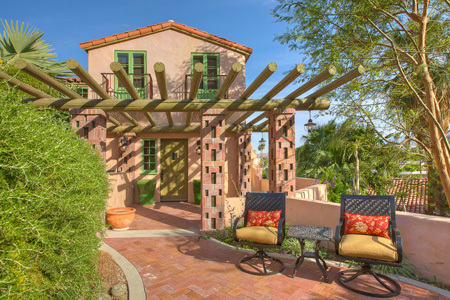 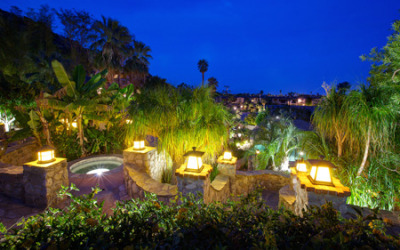 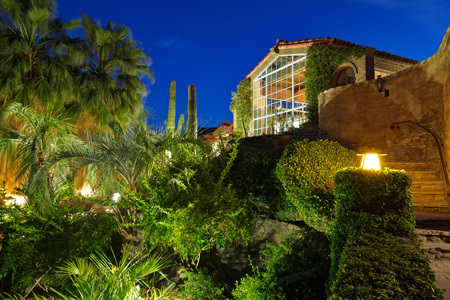 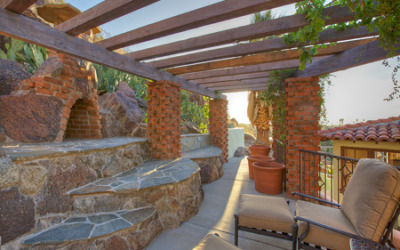 All areas of the property are connected via walking paths flanked by lush vegetation; including desert flowers, agave, cacti, plumeria, as well as producing citrus, banana, mango, and guava trees. 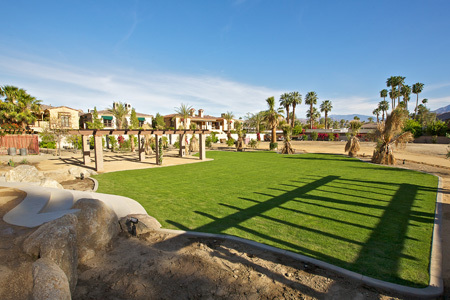 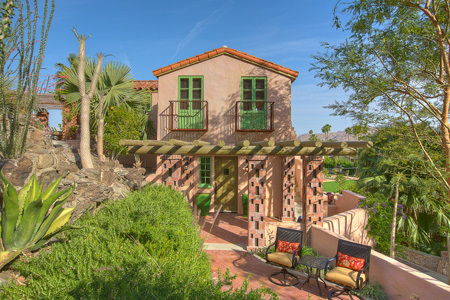 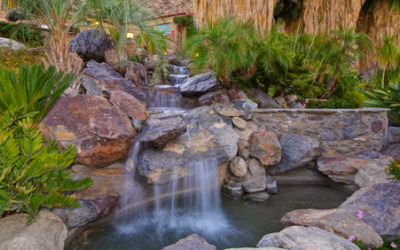 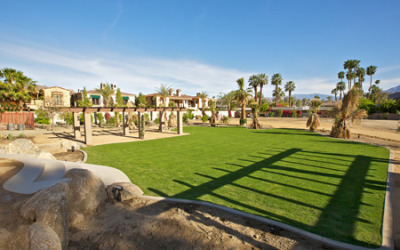 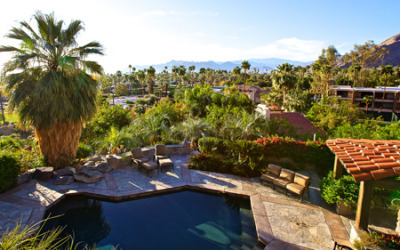 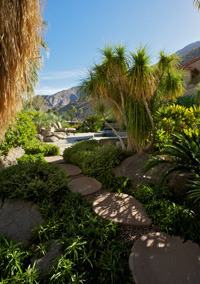 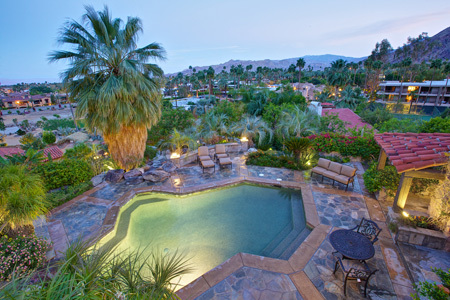 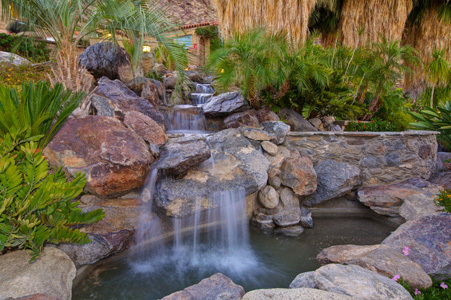 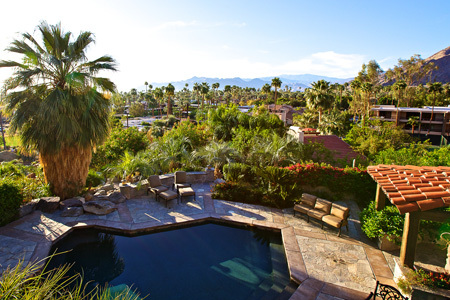 As guests explore the grounds these paths will bring them to hidden patios, soaking tubs, across bridges, and even to a tree house nestled amongst bamboo and palms- providing a birds-eye view of Downtown Palm Springs. 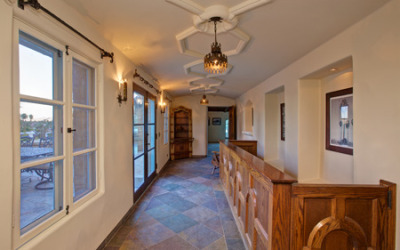 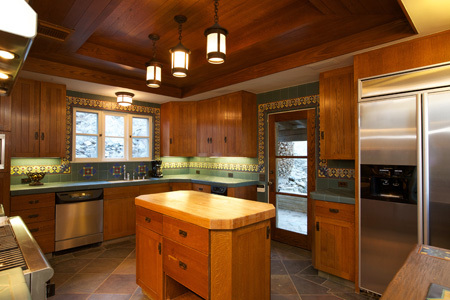 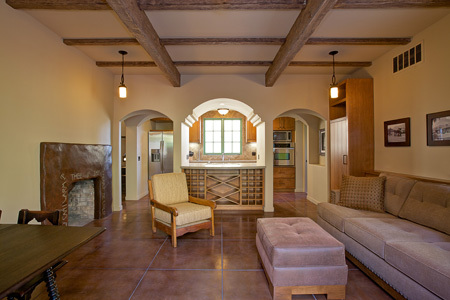 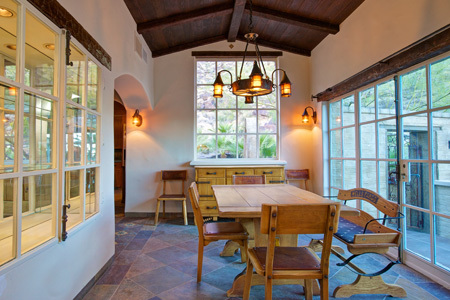 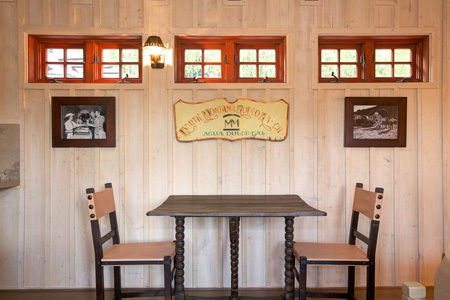 Each of the six homes have been appointed with period specific furnishings and fixtures, all either original pieces or reproductions from the original era of Colony 29. The Main House sits at the top of the property and was built by John Burnham, son of Chicago architect Daniel Burnham, who is credited with building one the first American Skyscrapers, the Masonic Temple Building. 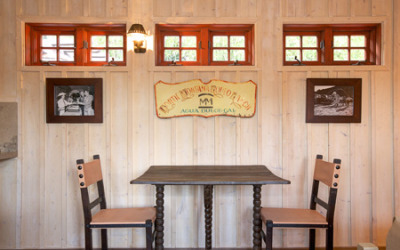 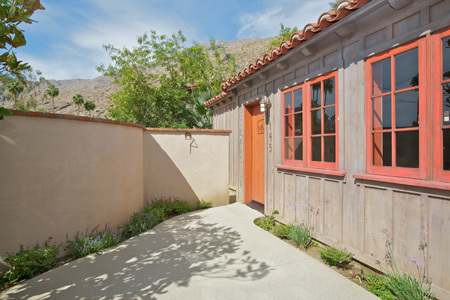 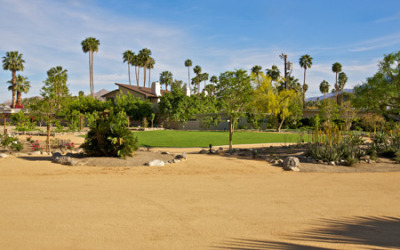 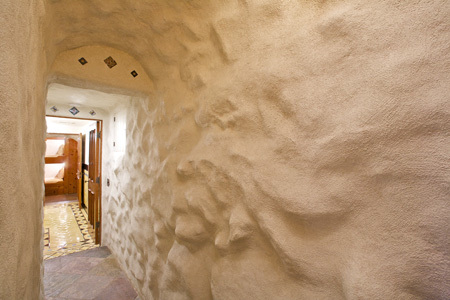 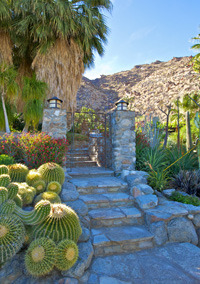 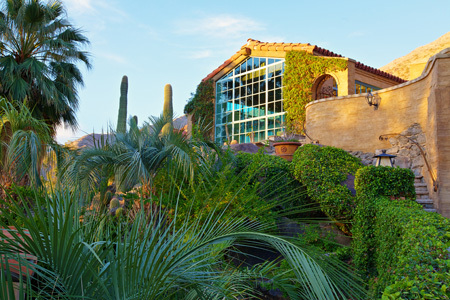 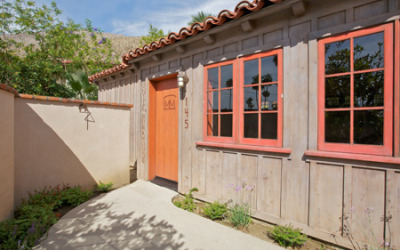 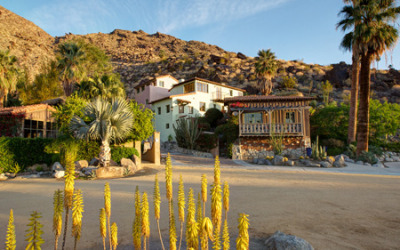 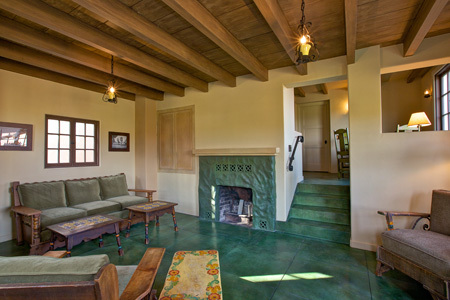 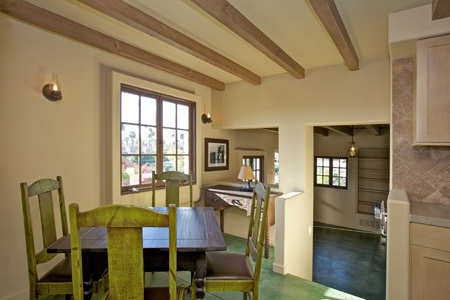 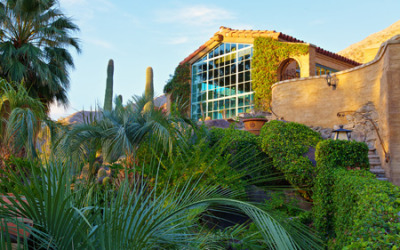 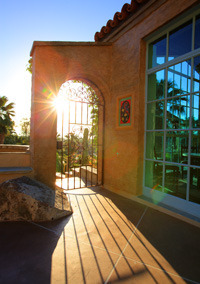 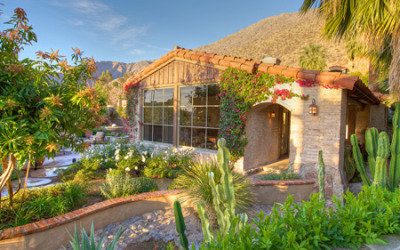 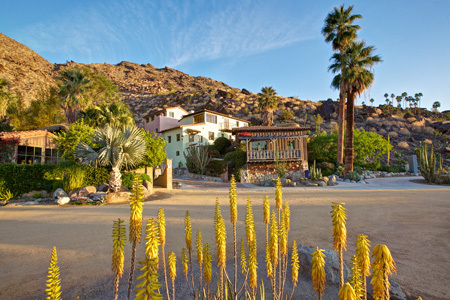 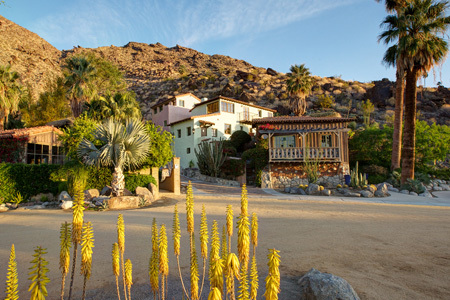 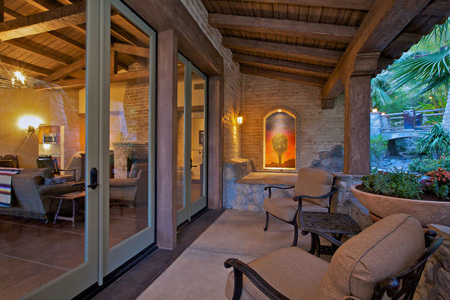 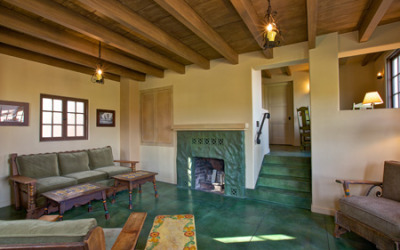 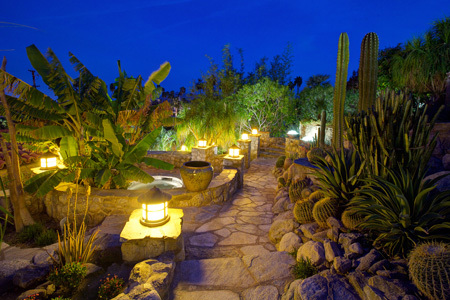 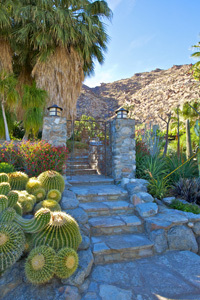 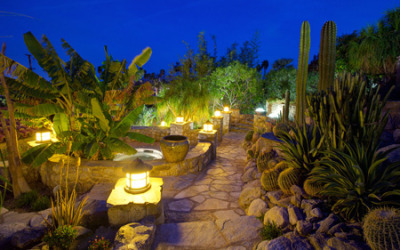 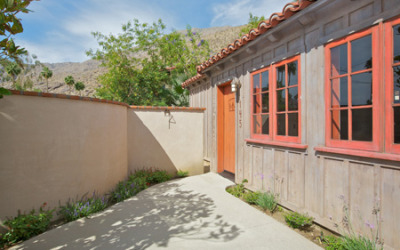 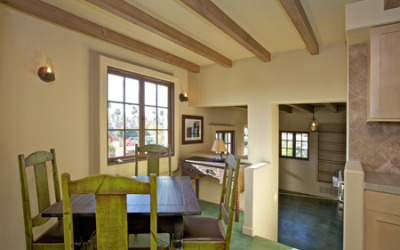 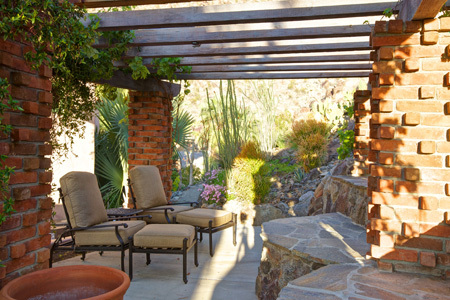 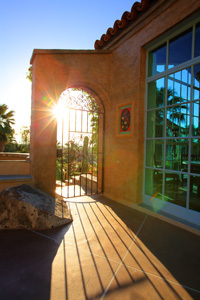 John was a Pasadena attorney who’s love of the desert inspired him to build Colony 29, which became an artists retreat for Burnham and his friends. After years of neglect, the current owners of Colony 29 began a 13 year journey of renovation and restoration, with painstaking attention to every detail down to period specific lighting fixtures and hardware seen throughout each of the six homes. 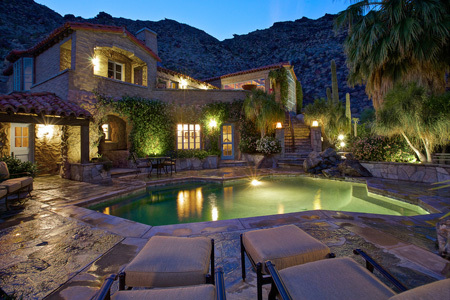 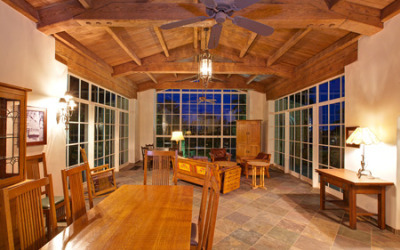 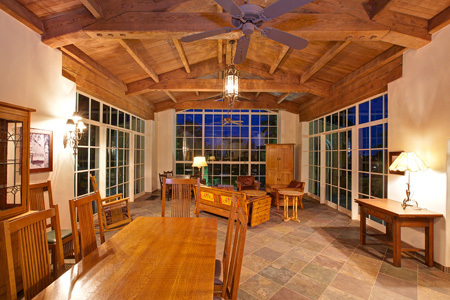 The Main House features five bedrooms and five bathrooms, with 5,000 square feet of indoor living space. The large Great Room provides ample space for guests to gather and provides stunning views of the Downtown Palm Springs from multiple vantage points, both indoors and out. 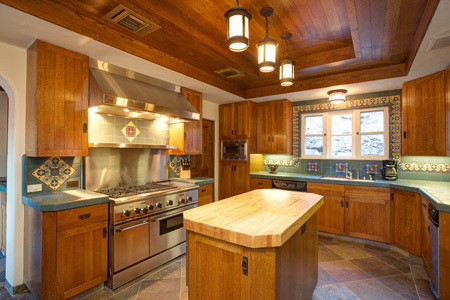 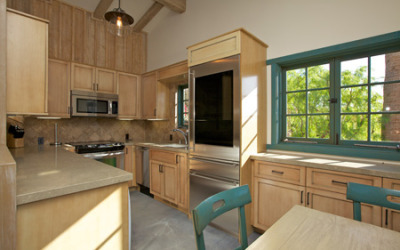 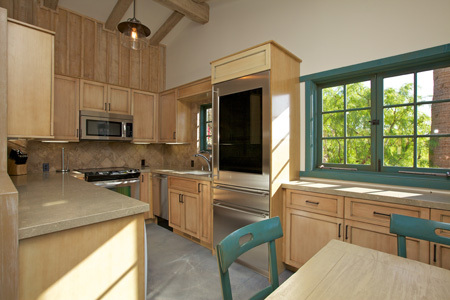 The Main House also features a Chef’s Kitchen with a full suite of appliances and bar area, plus plentiful dining space for all guests. 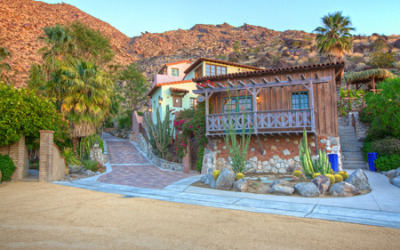 Situated below the Main House, the remaining five homes are tucked into to hillside and line the brick drive that leads up to the Main House. Reminiscent of an old world European Village, Colony 29 is rich in character and history, married with the modern amenities desired by even the most discerning traveler. 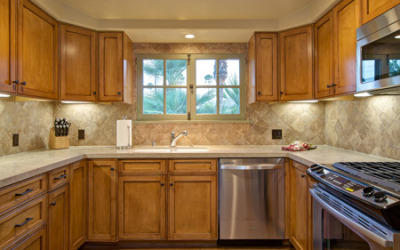 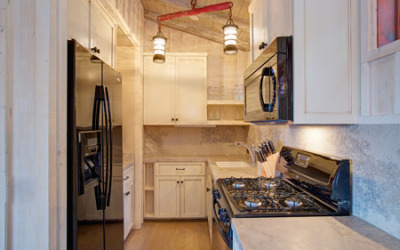 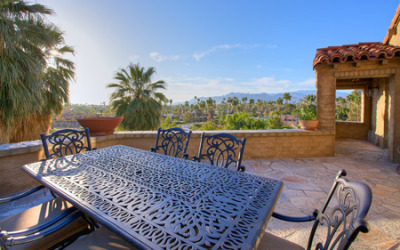 Each of these homes provide guests with a generous sized living area with Flat Screen TV, HD Cable and DVD Player as well as Kitchen featuring full sized cooktop, refrigerator, dishwasher and microwave. 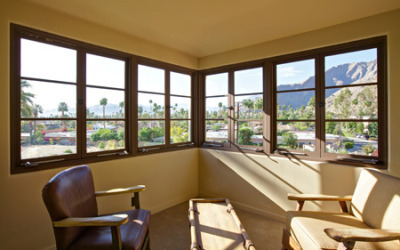 Located just steps from Downtown Palm Springs and the finest in dining, culture, and nightlife of Palm Canyon Drive, Colony 29 provides privacy and exclusion with the ease of accessibility to all local attractions. 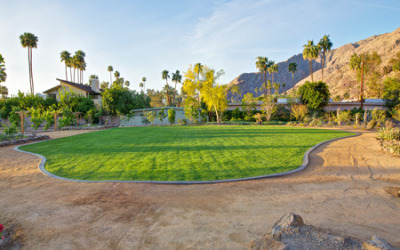 Three venue areas are available for events, with the largest venue offering approximately 7,000 square feet of space including lush lawn and concrete slab ideal for catering or dancing. 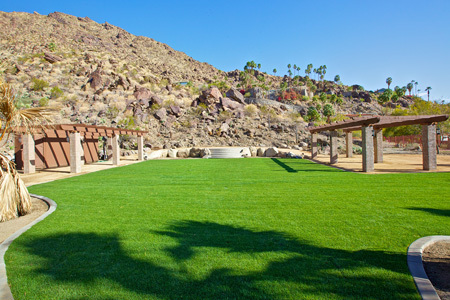 The second venue is ideal for weddings or speaking engagements with a raised stage and open lawn area. 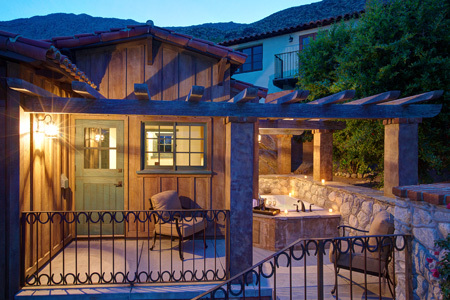 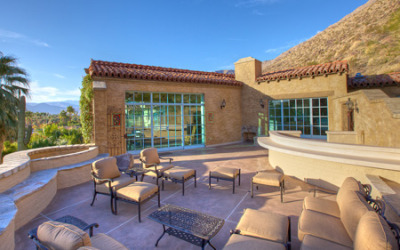 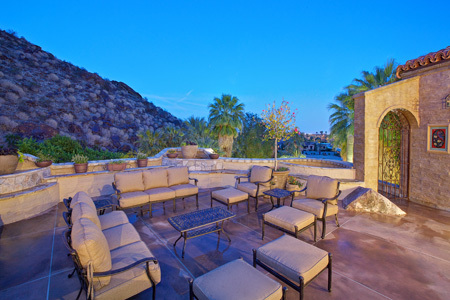 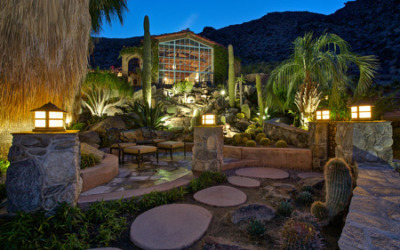 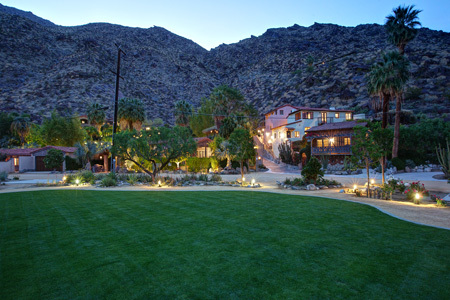 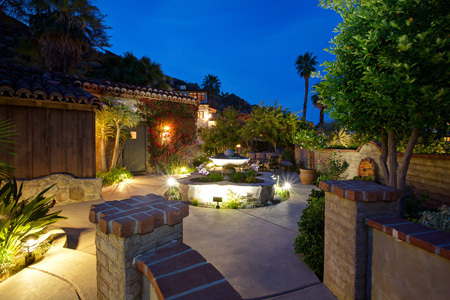 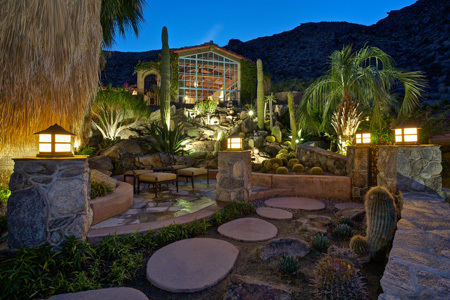 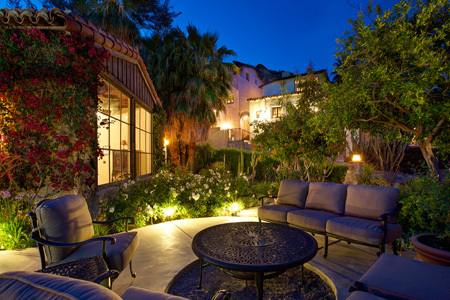 The third venue is perfect for more intimate gatherings, with 1,500 square feet nestled in the side of the mountain offering sweeping views of the Colony 29 property and Downtown Palm Springs. 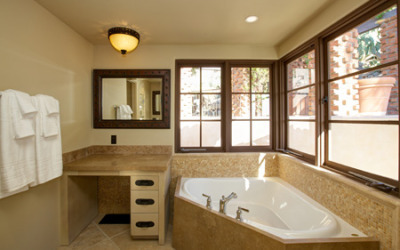 – Master Suite: King sized bed, Flat Screen TV, fireplace, walk-in closet, en-suite bath with dual vanities, claw foot soaking tub, and steam shower. 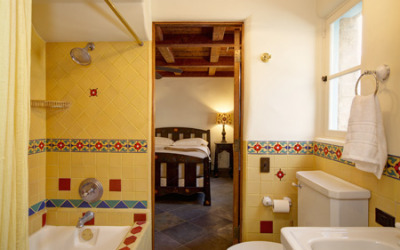 – First Guest Quarters: King sized bed, flat Screen TV, fireplace, en-suite bath with single vanity and tub/shower combination. 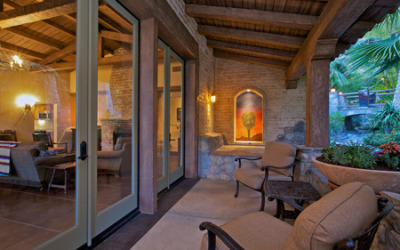 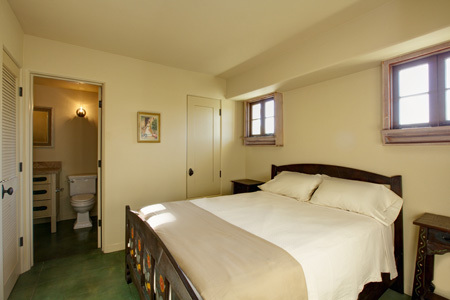 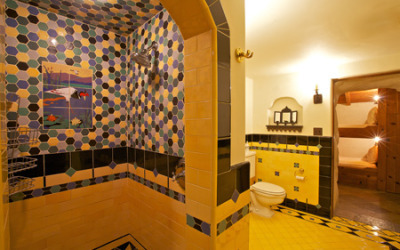 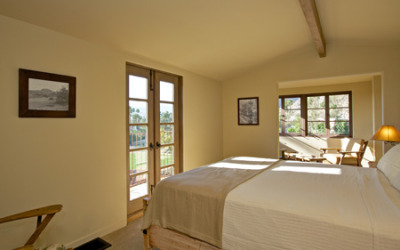 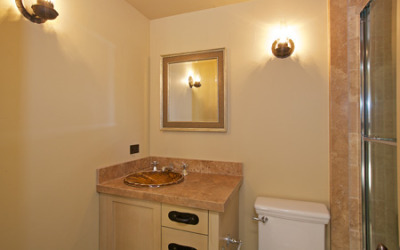 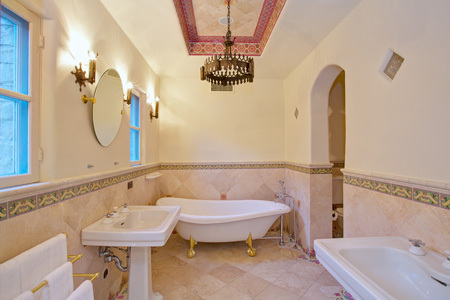 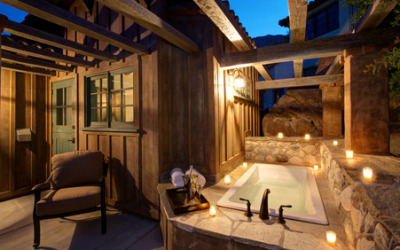 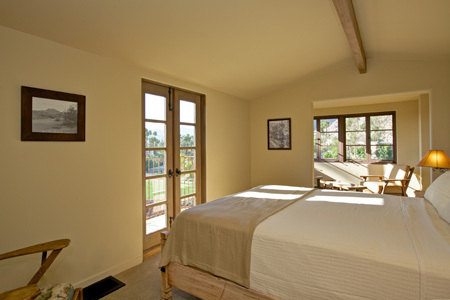 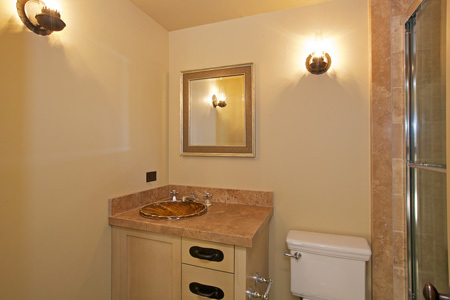 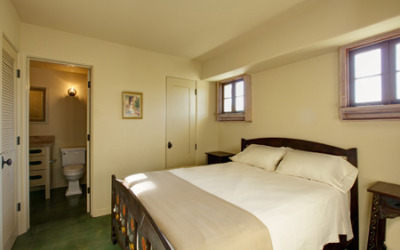 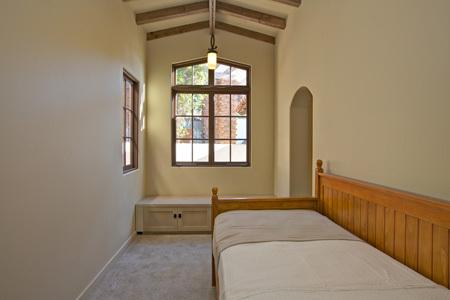 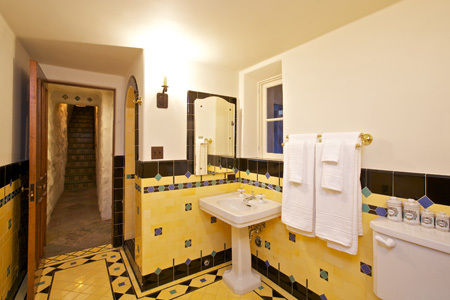 – Second Guest Quarters: Queen sized bed, Flat Screen TV, en-suite bath with single vanity, and tub/shower combination. 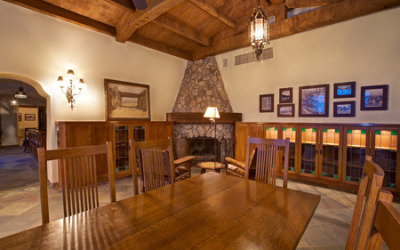 – Third Guest Quarters: King sized bed, Flat Screen TV, fireplace, large sitting area, shared bath with Fourth Guest Quarters featuring single vanity and shower. 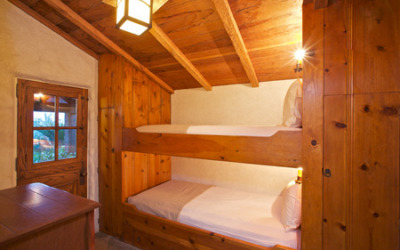 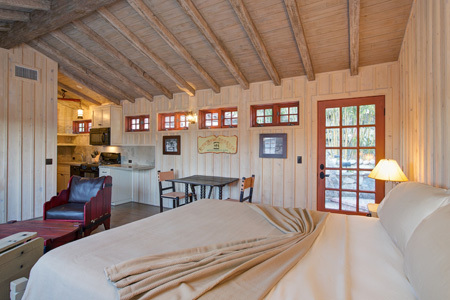 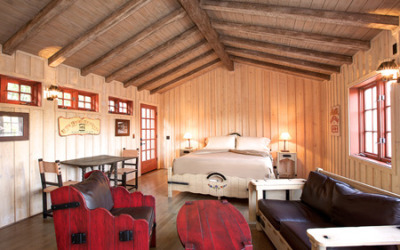 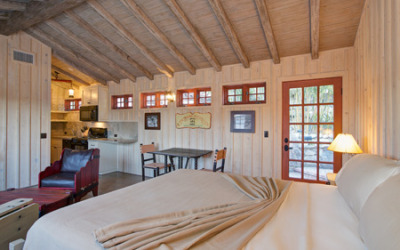 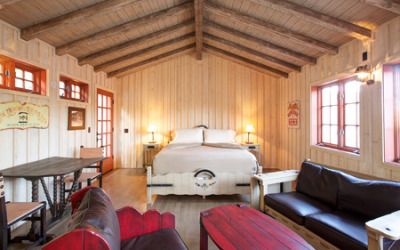 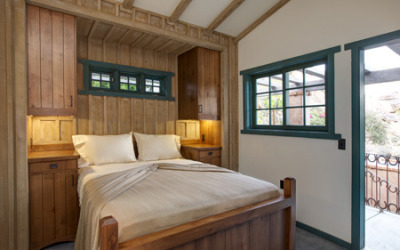 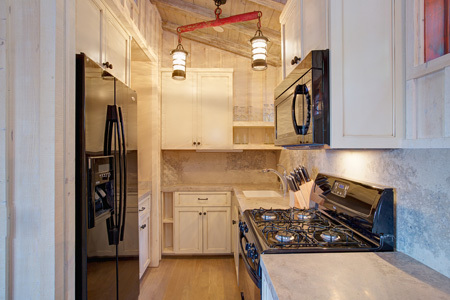 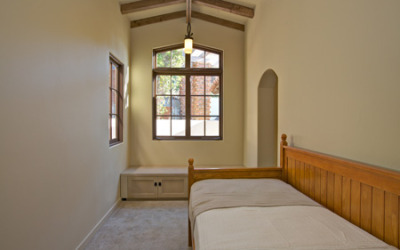 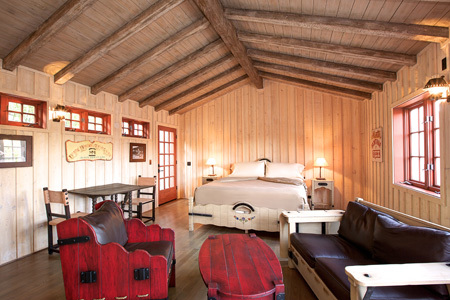 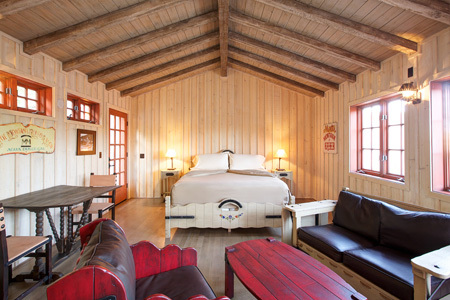 – Fourth Guest Quarters: Twin Bunk beds, shared bath with Third Guest Quarters featuring single vanity and shower. 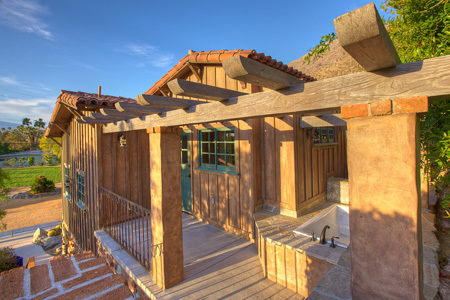 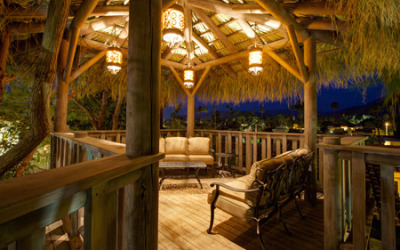 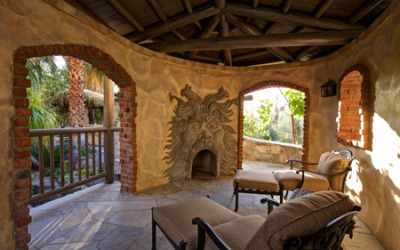 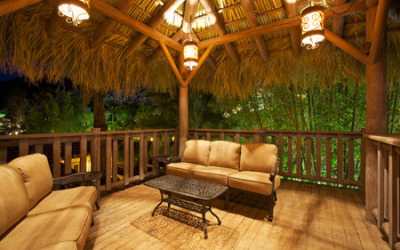 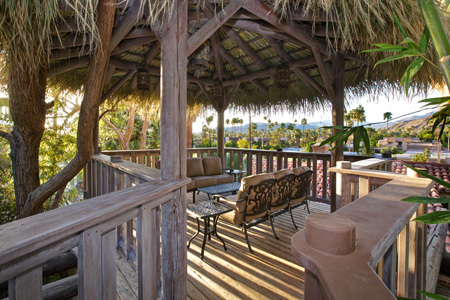 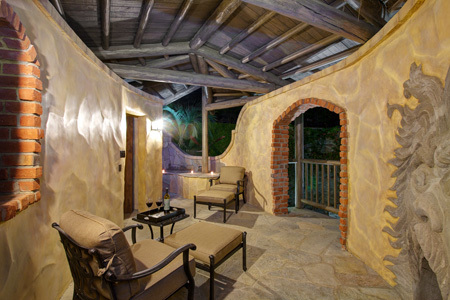 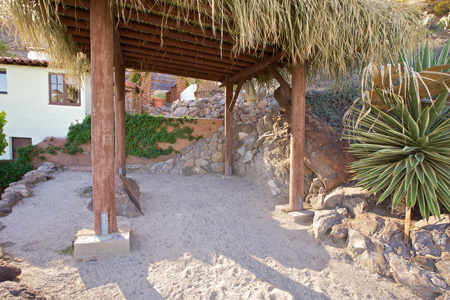 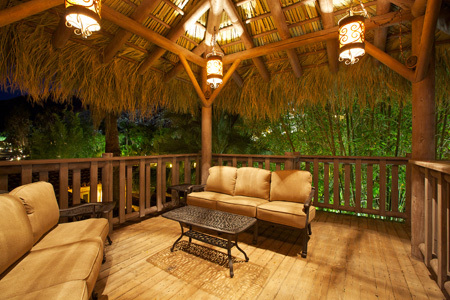 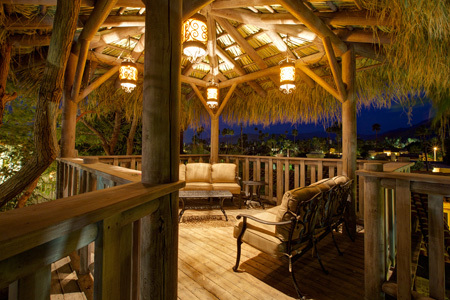 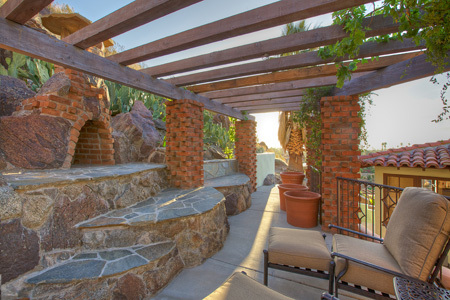 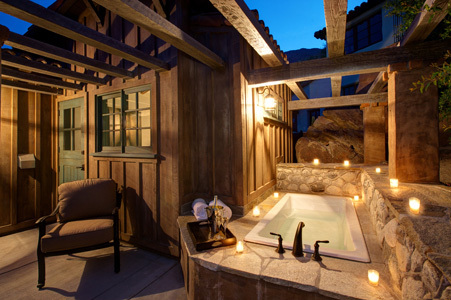 – Outdoor covered palapa with fireplace, water closet, shower, and soaking tub. 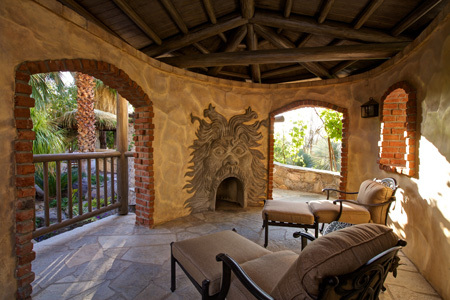 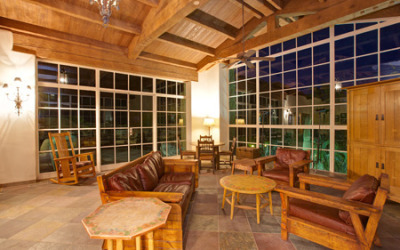 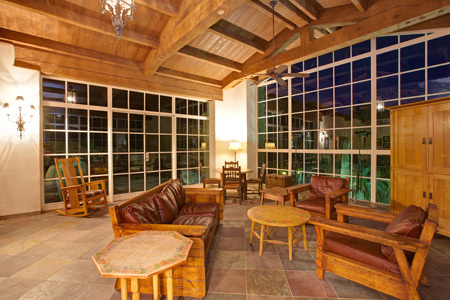 – Two BBQ areas with large seating areas and one fire feature. 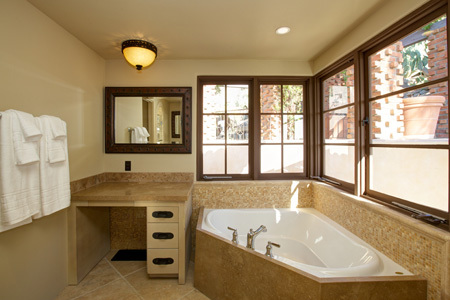 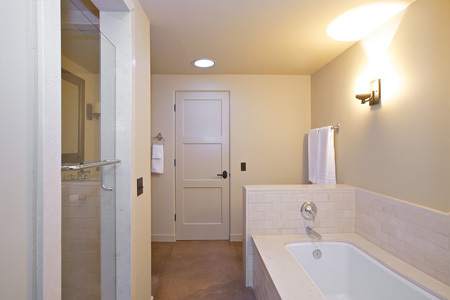 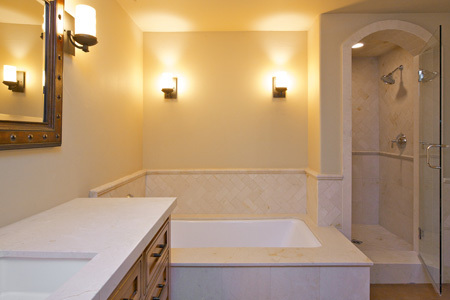 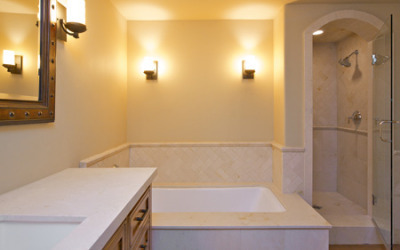 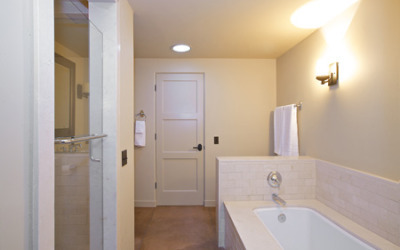 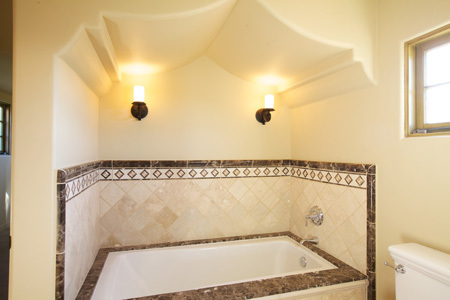 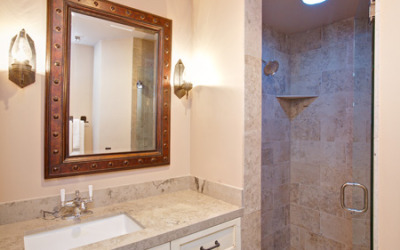 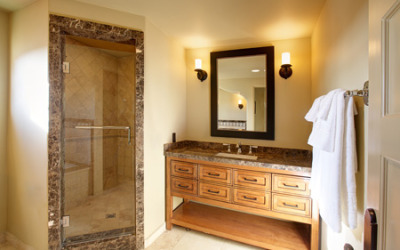 – Master Suite: Queen sized bed, Flat Screen TV, en-suite bath with single vanity, shower and outdoor soaking tub. 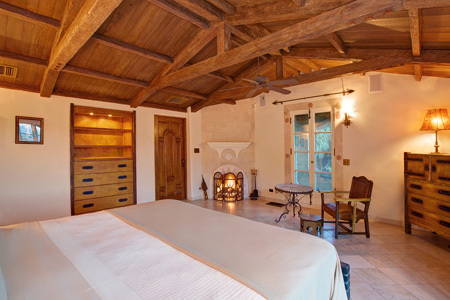 – Master Suite: King sized bed, Flat Screen TV, sitting area, shared hall bath with Second Guest Quarters featuring single vanity, garden tub, shower, water closet and dressing table. 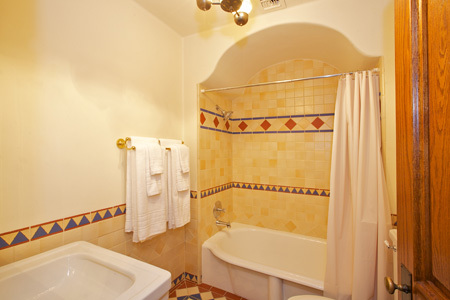 – First Guest Quarters: Queen sized bed, Flat Screen TV, en-suite bath with single vanity and tub/shower combination. 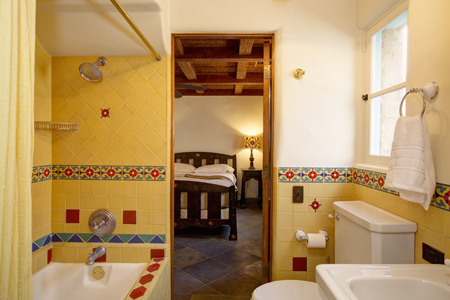 – Second Guest Quarters: Twin sized bed, Flat Screen TV, shared hall bath with Master Suite featuring single vanity, garden tub, shower, water closet and dressing table. 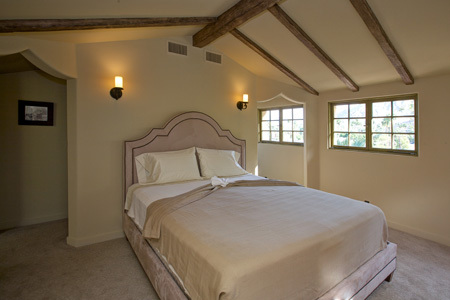 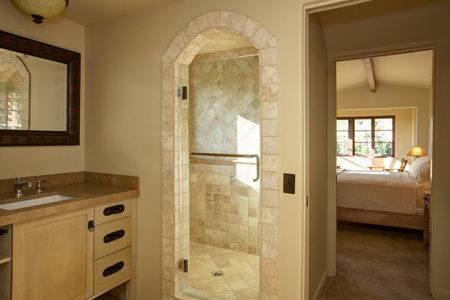 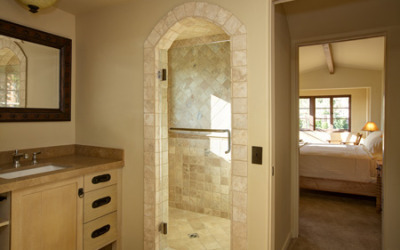 – Master Suite: King sized bed, Flat Screen TV, hall bath with single vanity, tub, and shower. 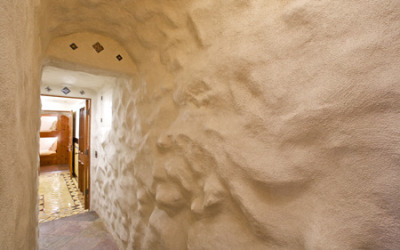 – Shared Saline Pool and Spa with 137 & 139. 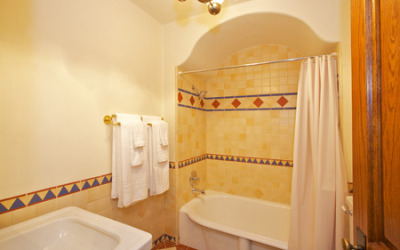 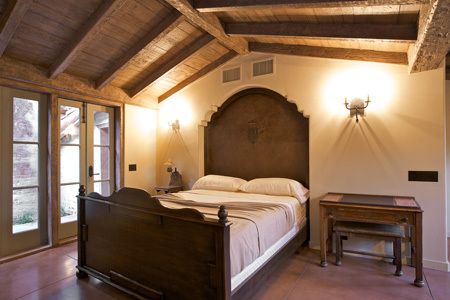 – Master Suite: King sized bed, Flat Screen TV, private hall bath with single vanity, tub, and shower. 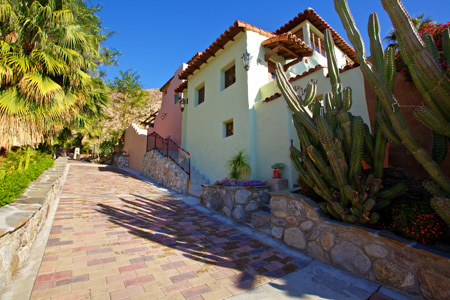 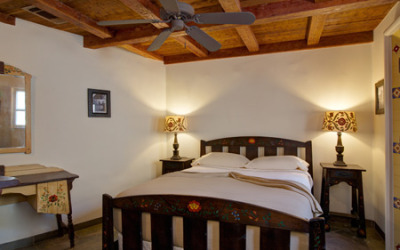 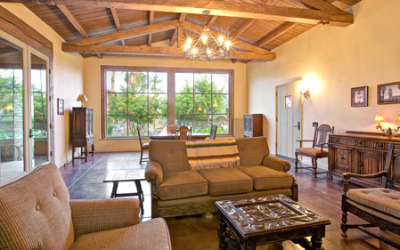 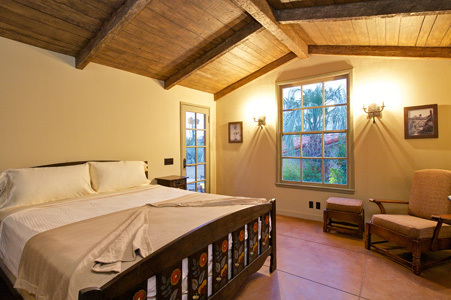 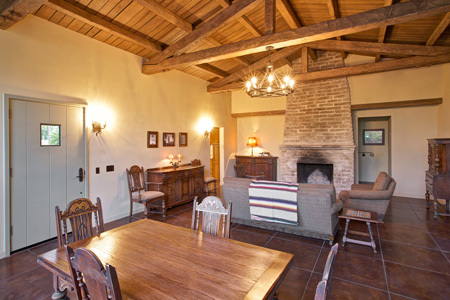 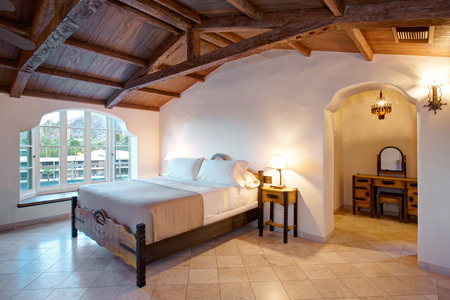 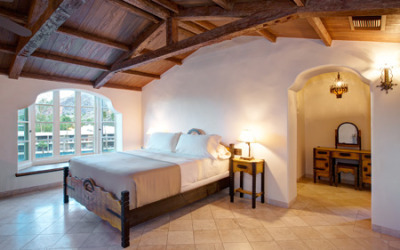 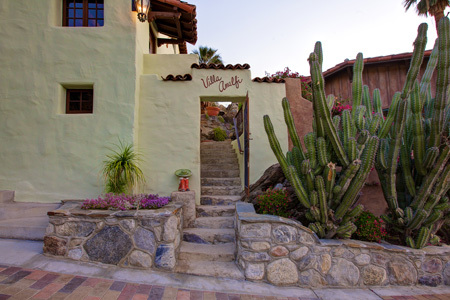 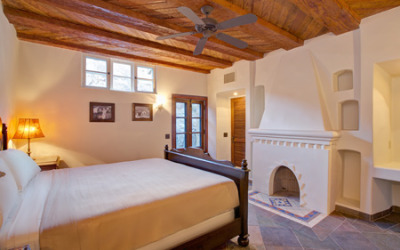 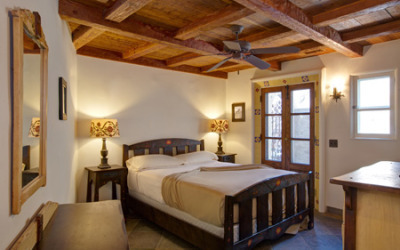 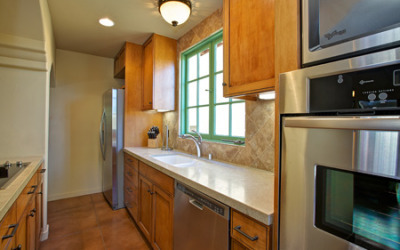 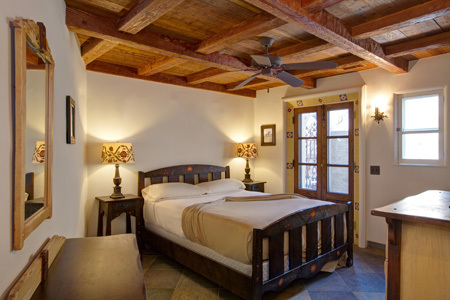 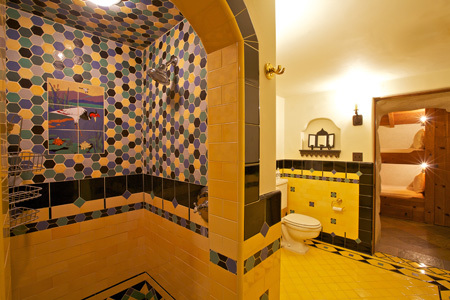 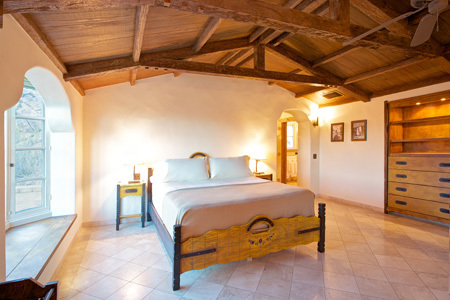 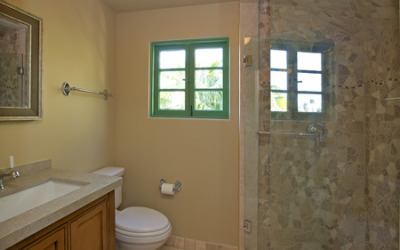 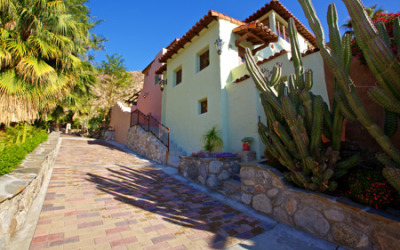 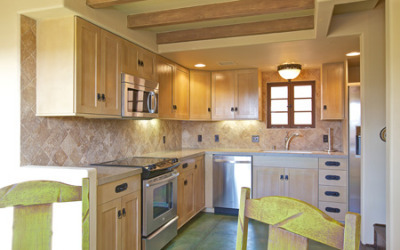 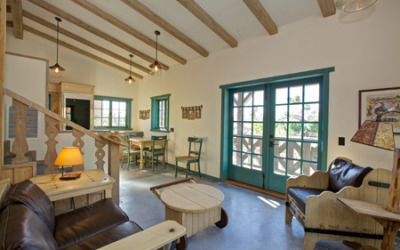 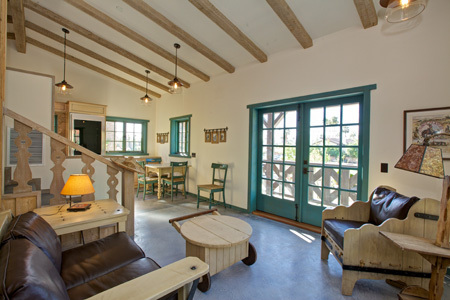 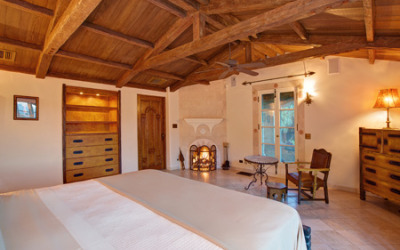 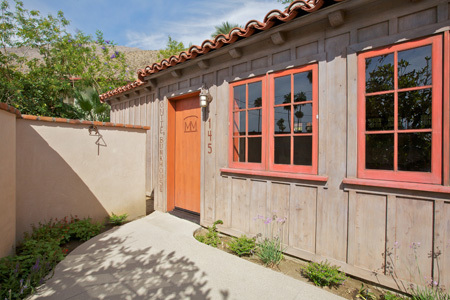 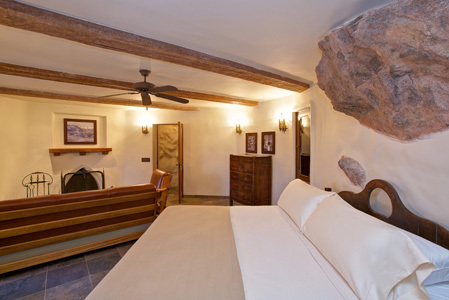 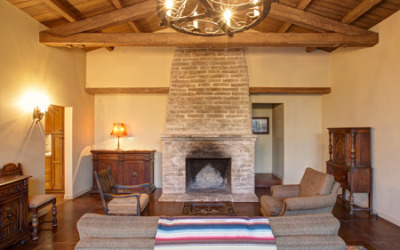 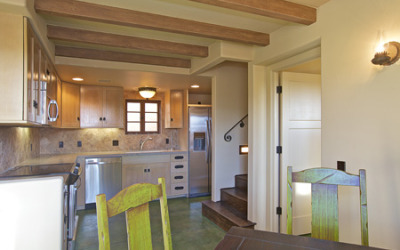 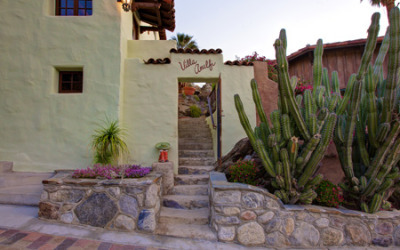 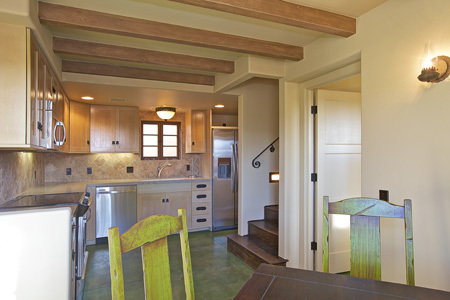 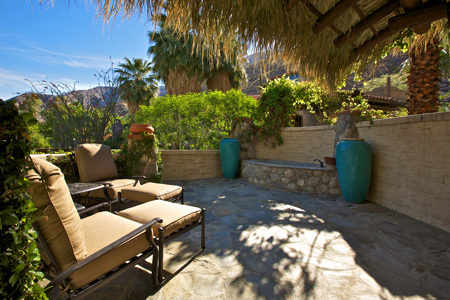 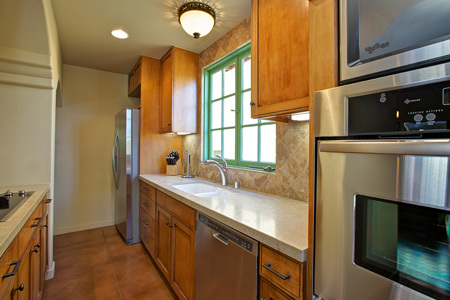 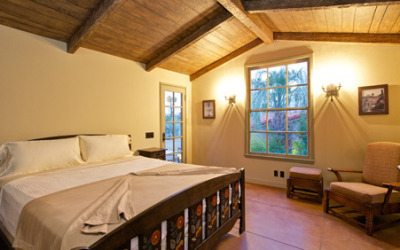 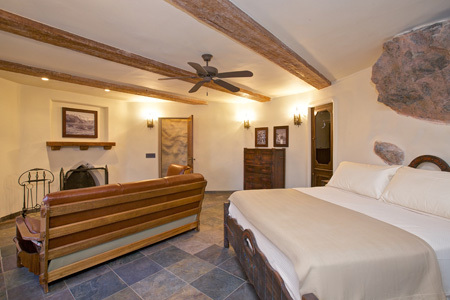 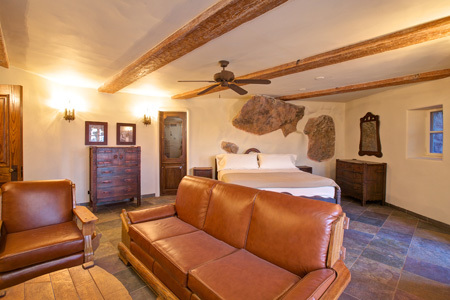 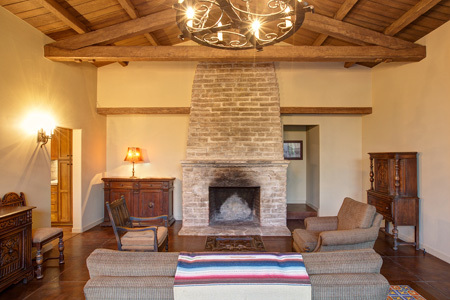 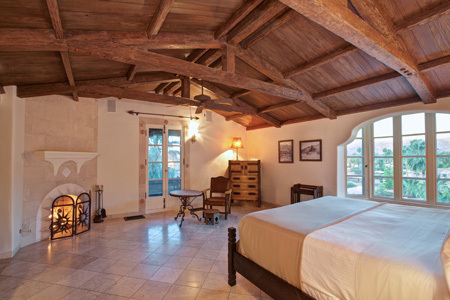 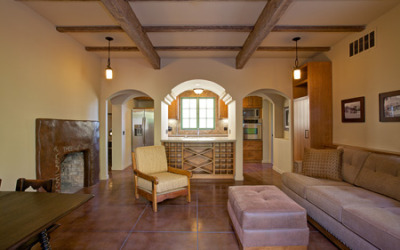 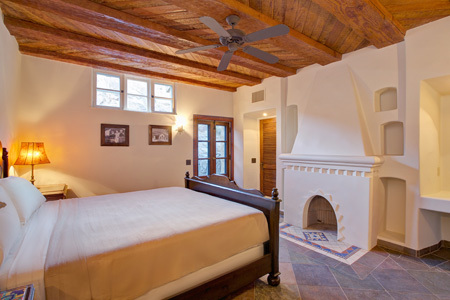 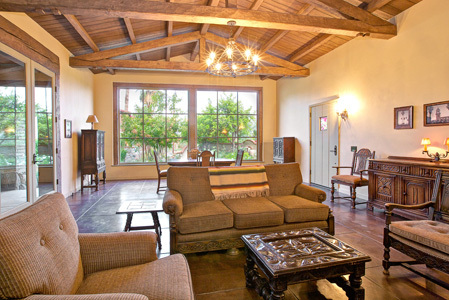 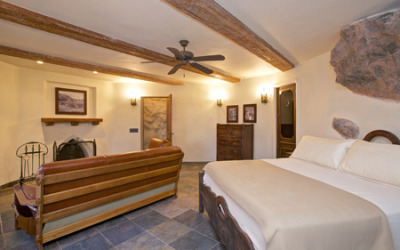 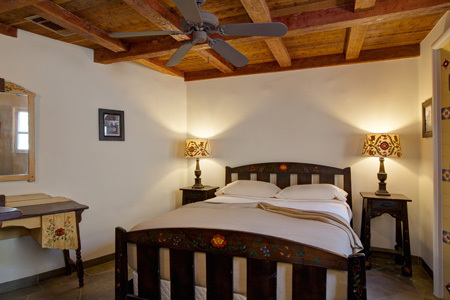 – Casita Guest Quarters: King sized bed, Flat Screen TV, wet bar, en-suite bath with single vanity, tub and shower. 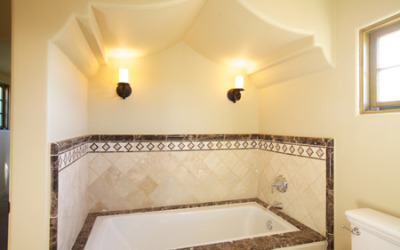 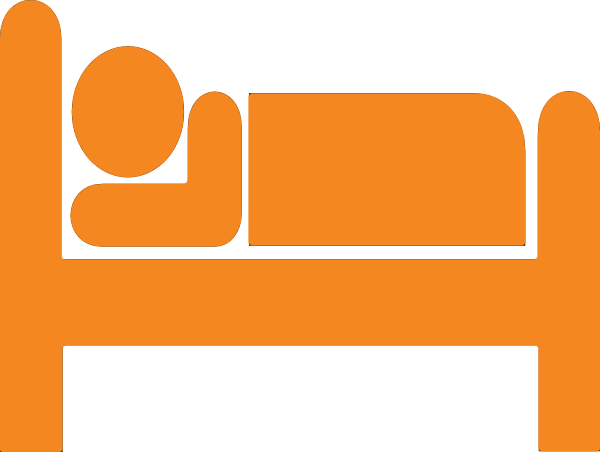 – Master Suite: King sized bed, Flat Screen TV, Bath with single vanity, shower, water closet, outdoor soaking tub and sitting area with fire feature.